Isaiah 53:6 - "We all, like sheep, have gone astray, each of us has turned to his own way; and the LORD has laid on him the iniquity of us all." 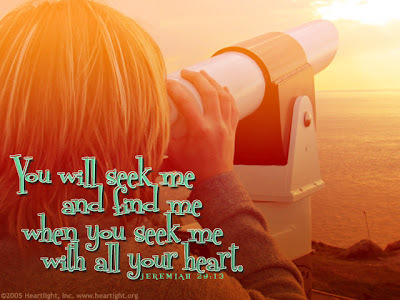 Isaiah 55:6 - "Seek the LORD while he may be found; call on him while he is near." Isaiah 55:7 -"Let the wicked forsake his way and the evil man his thoughts. Let him turn to the LORD, and he will have mercy on him, and to our God, for he will freely pardon." Isaiah 55:11 - "so is my word that goes out from my mouth: It will not return to me empty, but will accomplish what I desire and achieve the purpose for which I sent it." Isaiah 56:1 - "This is what the LORD says:"Maintain justice and do what is right, for my salvation is close at hand and my righteousness will soon be revealed." Isaiah 65:1 - "I revealed myself to those who did not ask for me; I was found by those who did not seek me. To a nation that did not call on my name, I said, 'Here am I, here am I.'"